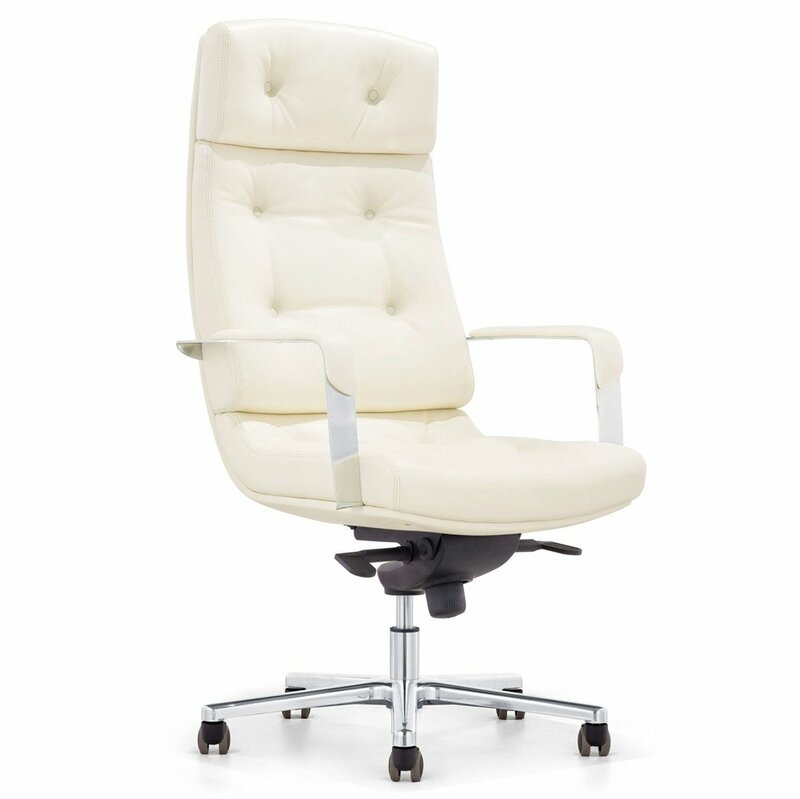 Finding cheap comfy desk chairs can be a serious challenge if you’re going for beautiful home decor. I mean, seriously. Who wants a huge black hunk of fake leather on wheels without any style rolling around their home office, or worse yet, a bedroom that has to serve as a home office too. 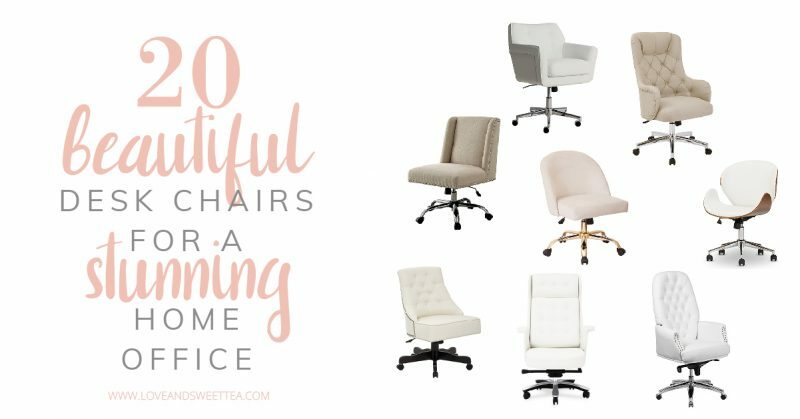 So, I’m here to the rescue today to show you some options for comfy desk chairs that will look great in any space, even bedrooms or living rooms. 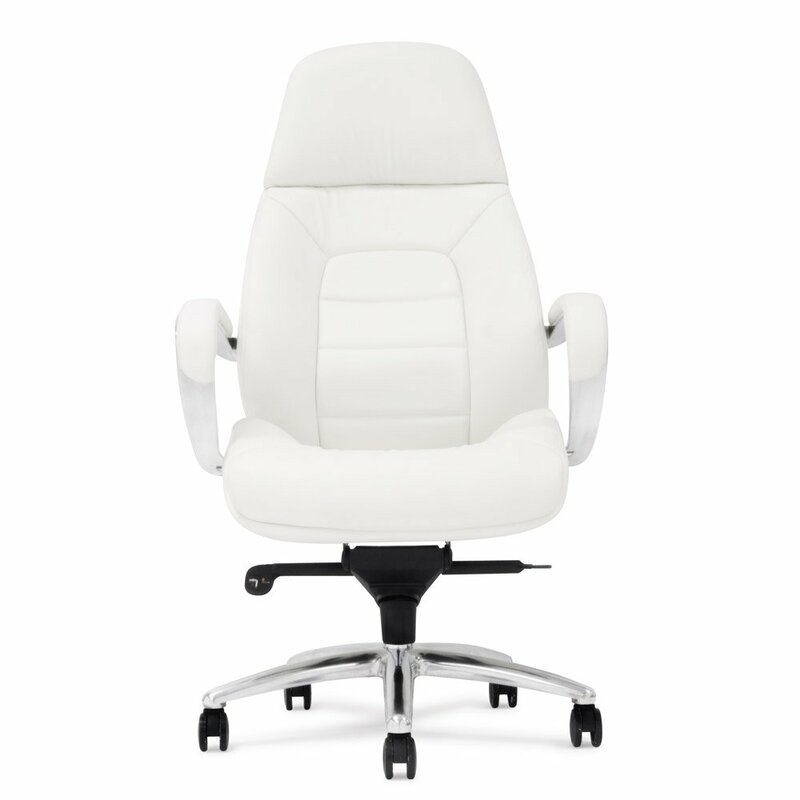 And to make it better, most of these comfy desk chairs are under $200, because let’s get real, you’re probably going to need another one soon if you are a work at home mom or have a busy office space in your house. 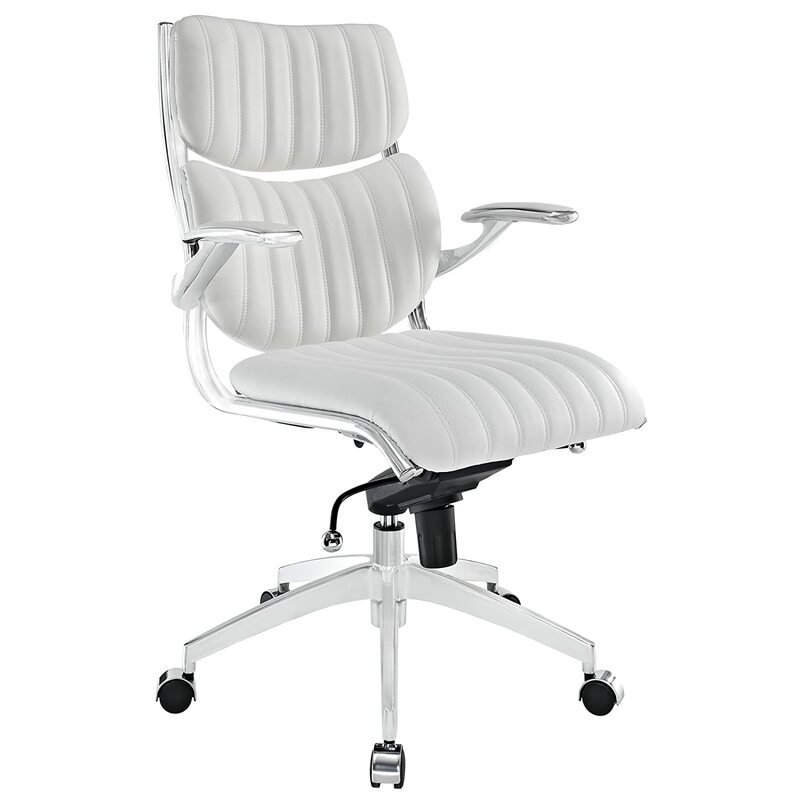 So, let’s get right to checking out these gorgeous desk chairs, shall we? Who doesn’t love a diamond tufted look? This one reminds me of a luxury car seat. 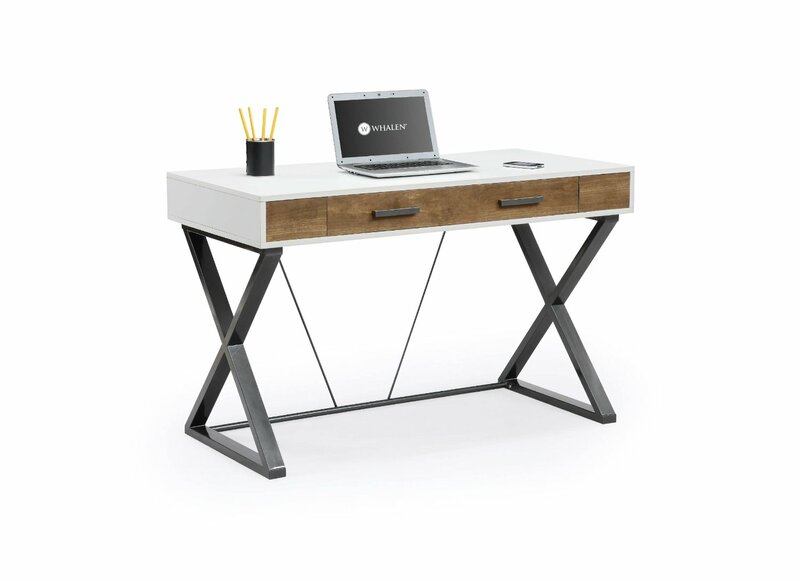 Plus, it has a tall back, meaning you can chill and lean back while you create that report, schedule social media, or write that article. This chair also has the high back, but what I love about it is that it has beautifully sculpted arms. And if you’re going for a more modern look, the tufting here is pretty sleek. Seriously. 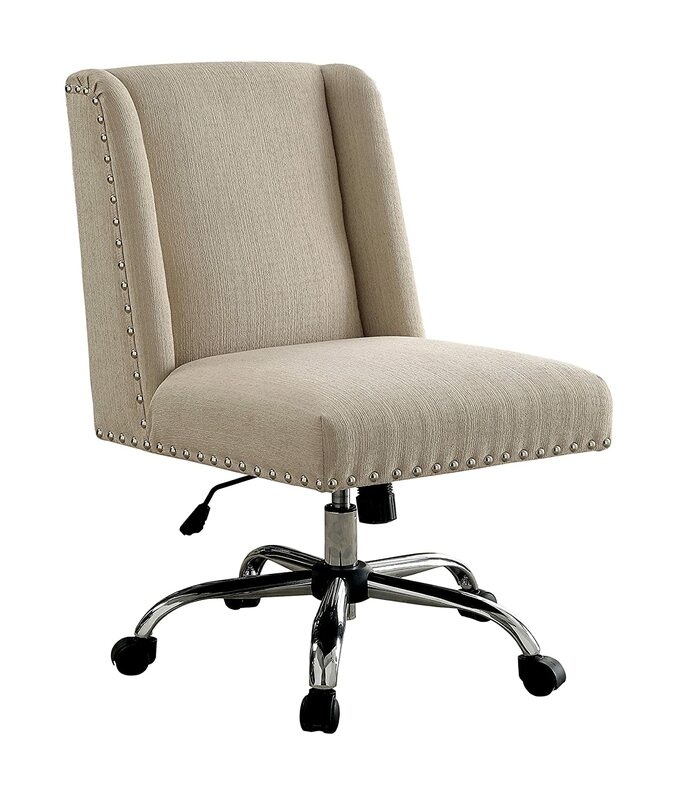 Who doesn’t want a little nailhead trim on their feminine desk chair. Plus, it’s tall, so you can chill and kick back all fancy like with that trim. Alright. For a girl who is way more modern farmhouse than mid-century modern, I absolutely adore this chair. It probably doesn’t even matter what office desk you pair this with or even what room it goes it. It’s going to be a focal point and be totally styling. 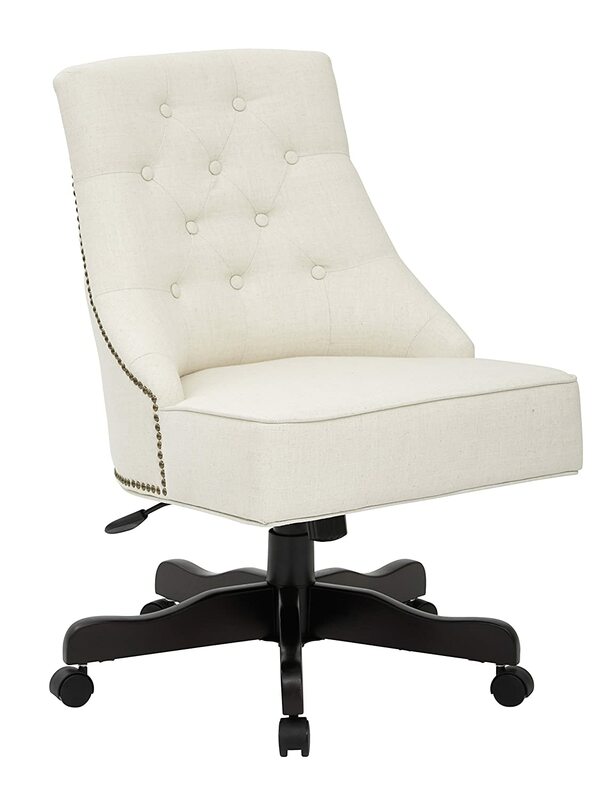 I included this chair in my last post about feminine desk chair ideas, and there’s a reason it’s back on the list. It’s gorgeous and will fit in almost any decor style these days. 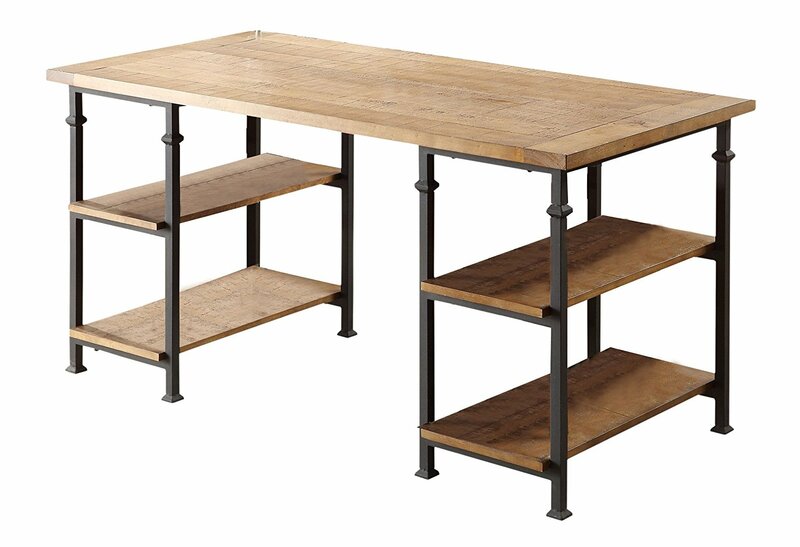 I think it has a Restoration Hardware kind of feel, even though it’s made by Bassett. 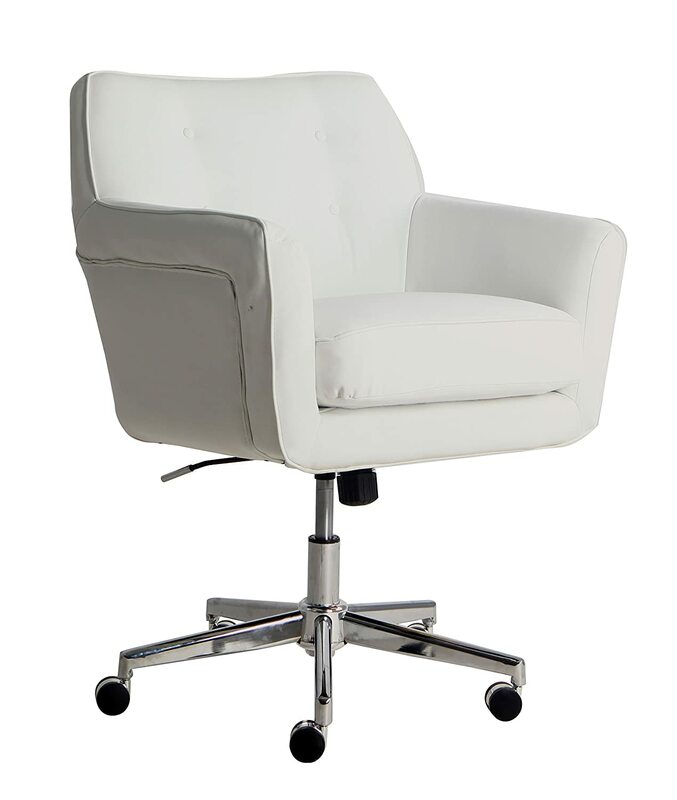 It’s available in a linen upholstery seat or bonded leather seat . While not the most feminine chair in this list, I adore this chair for one main reason. It’s real top-grain leather. Know what that means? It means it’s going to last a long time. Probably at least twice as long as a vinyl chair. So, it’s probably worth the extra for this one. This guy is leather, too. 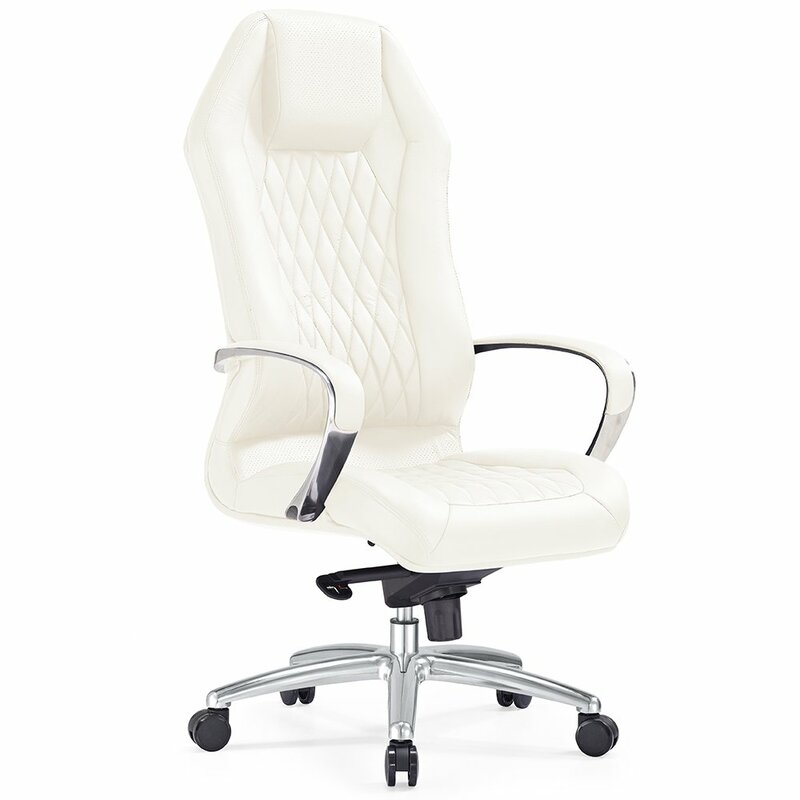 His description on Amazon says he’s made of bonded leather, so not as nice of leather as the Aluminum Base Executive Chair above, but still way better than vinyl. And it’s a bit less expensive because of it. 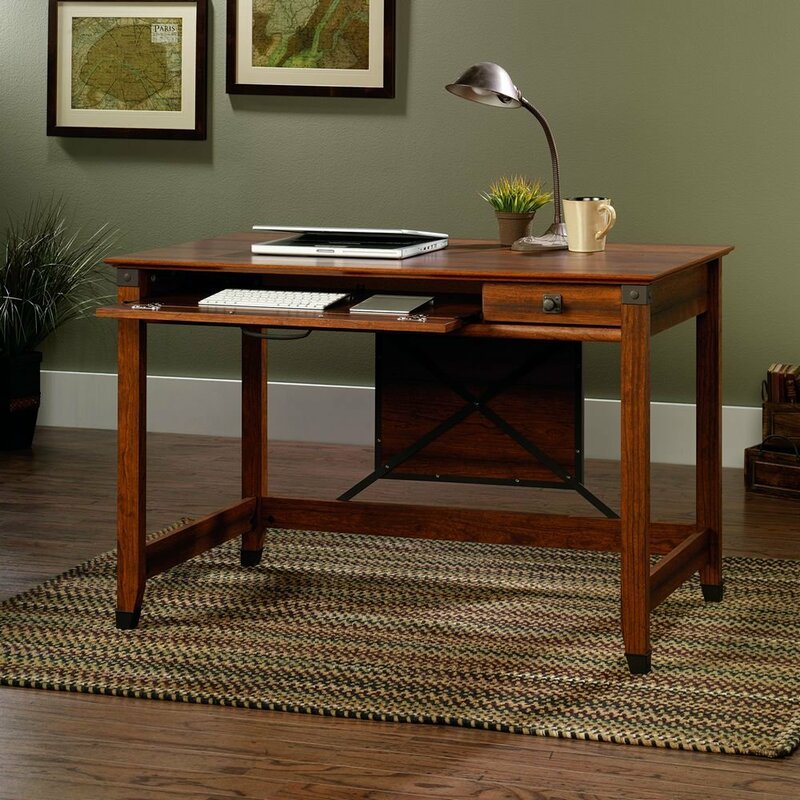 But still crazy stylin’ and a great size for a small space like a bedroom home office or teen room. There is that nailhead trim again. I’m such a sucker. It just dresses up a room to add a bit of nailhead to furniture. I also love that it’s an ivory/tan color. 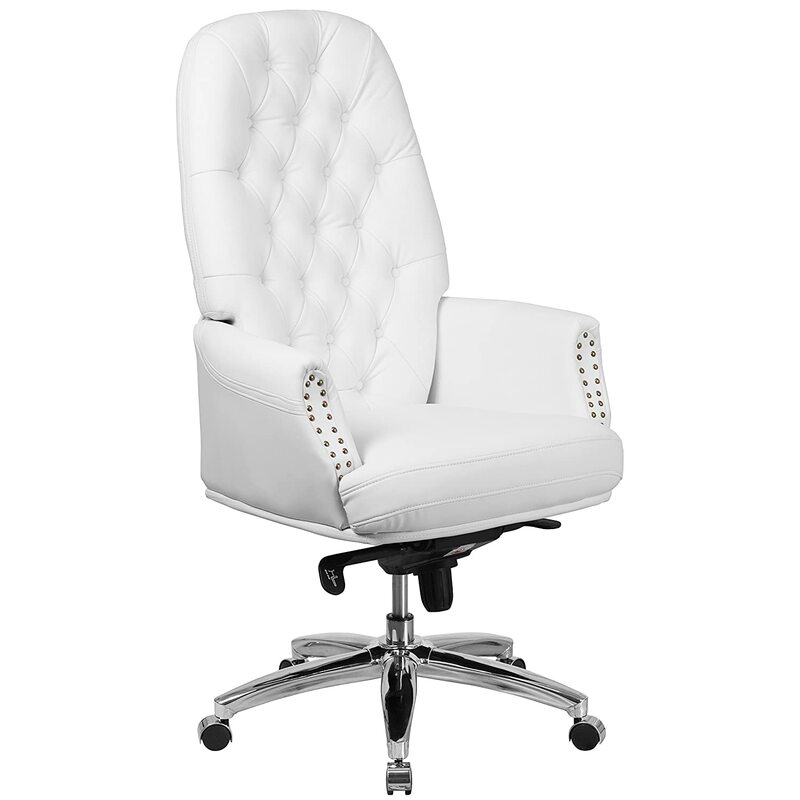 The last post I created about desk chair ideas had a similar chair to this one on it and everyone looooved it. I mean, seriously. It was hands down the most popular chair. But this guy is upgraded with bonded leather for around the same price as upholstered. Such a steal for a great looking chair. This one will work great in small spaces, too because of the arm positioning. 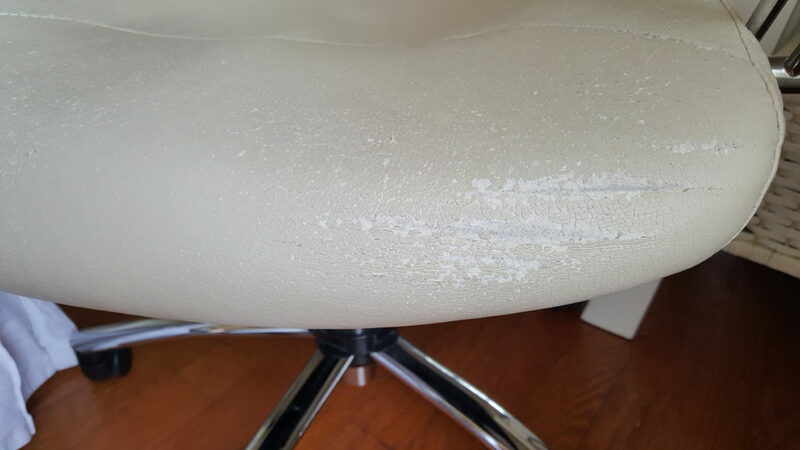 This is another high-quality leather chair. 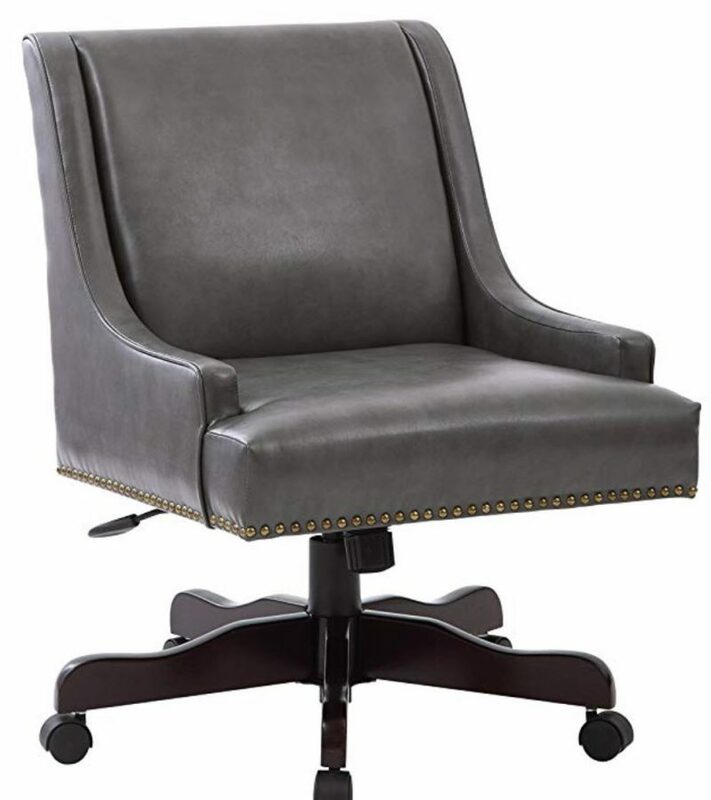 Though not specified in the description, based on seller feedback on Amazon, I believe this chair is top-grain leather since they state it is not bonded leather. Definitely a great option if you’re looking for a chair that will last a while. 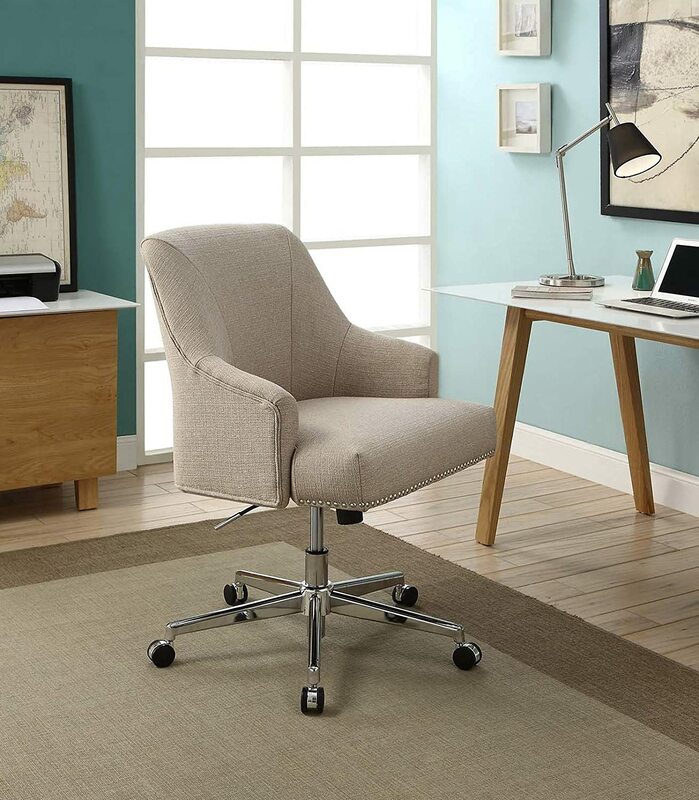 I adore this chair for a bedroom home office. I will totally fit in a living room if that’s your speed, but I think of the bedroom as being soft and romantic like velvet. This would make a great chair for a makeup desk or vanity. What about that gold base? **swoon** This chair definitely gets some points for high style. 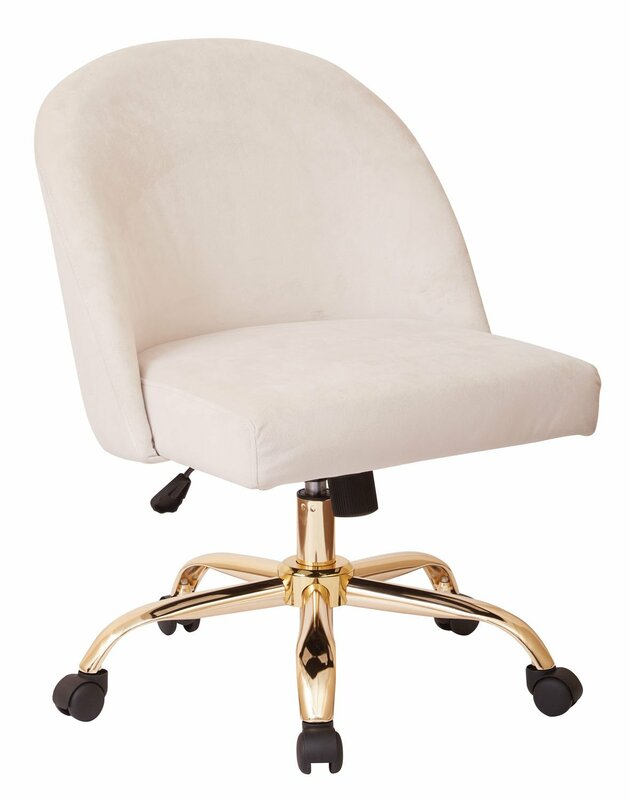 And since gold/brass is totally in right now with mid-century modern style, this chair has all the right elements to spice up your home office style. And if the latest trends aren’t your favorite, this may suit your fancy. This chair actually be my favorite one on the whole list. 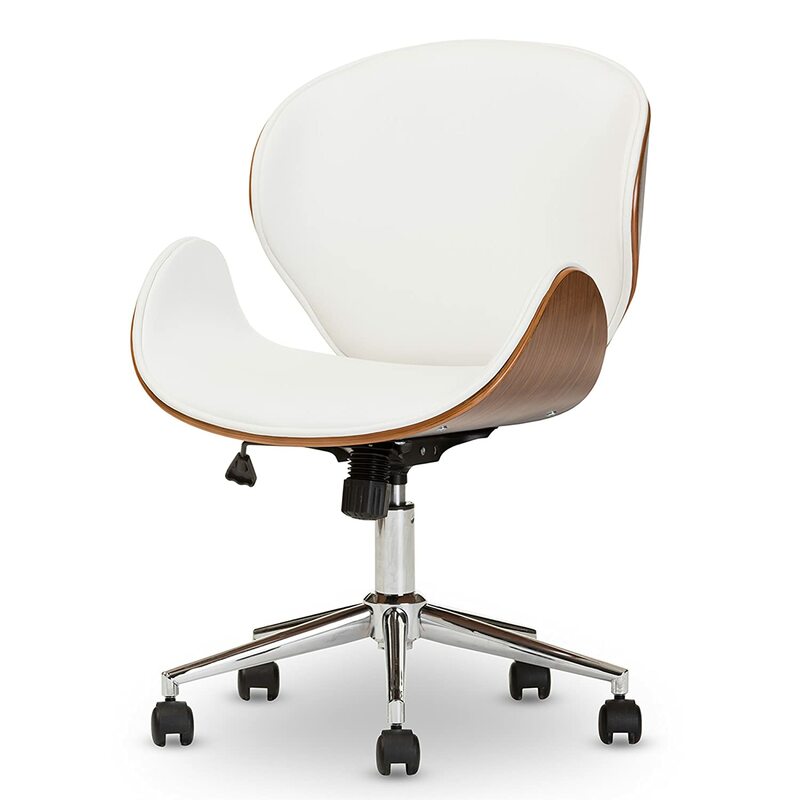 My home office is in the living room and has to look amazing, and this chair would be my absolute first pick if I needed a new desk chair. It’s so sophisticated and traditional, but still a bit edgy with those wingback-style arms. 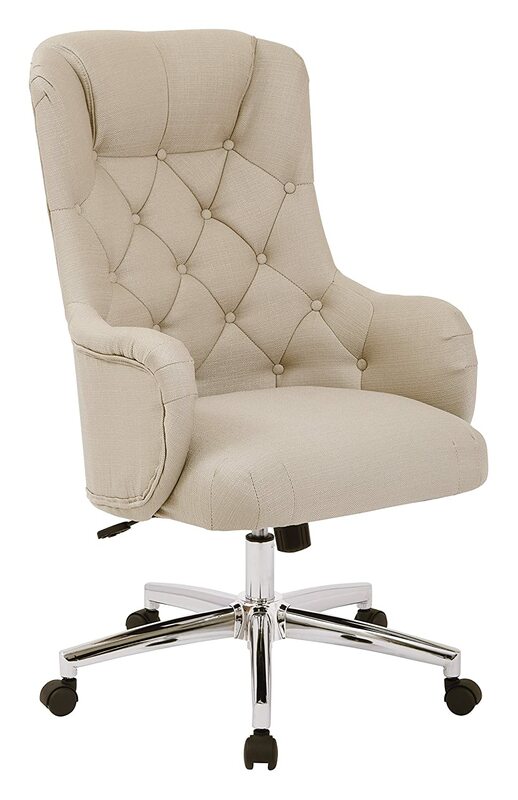 Definitely a great choice if you’re looking for a tall, upholstered chair in a traditional style. If this chair looks familiar, it’s because it’s the big sister to the Layton chair above, only it’s vinyl covered instead of upholstered. I love vinyl as a worry-free alternative to upholstered or leather chairs, especially with littles around. 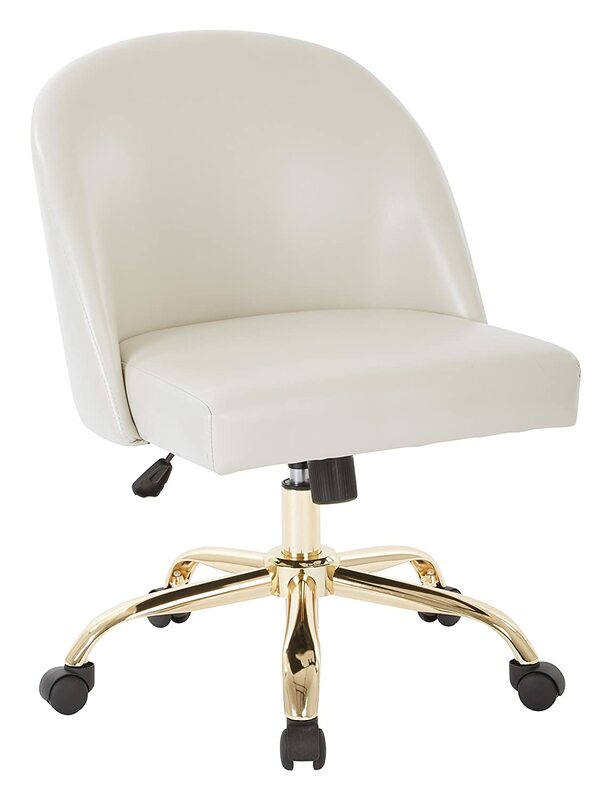 This is also the softer sister to the other Serta Leighton chair above, but I really think the tan upholstery gives this chair a cozy, comfy desk chair look. This chair screams style. I could totally see this in Edna Mode’s office in the Incredibles (if it were shorter 😉 ). If you’re looking for something a touch more modern but still feminine, this may be your little lady. 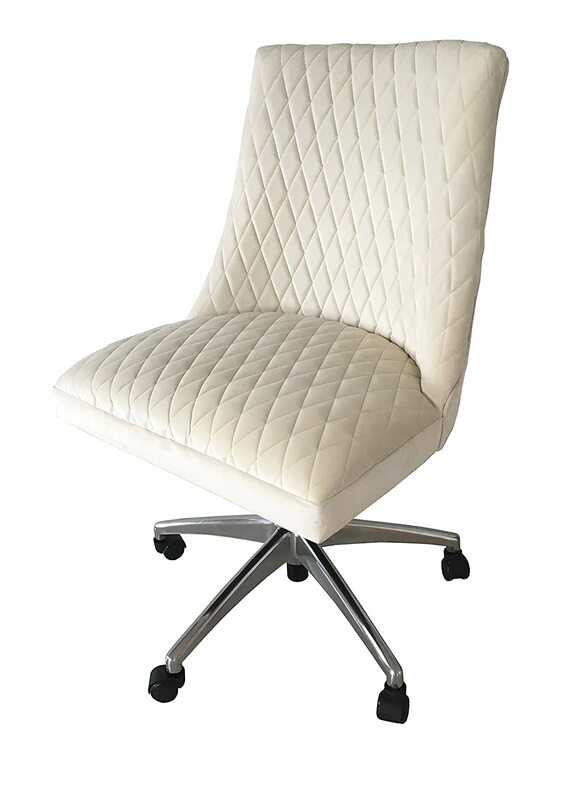 Similar to the chair above, this chair gets tons of style points for the form and ridges in the padding. This chair looks like a soft mattress to me, actually. Or one of those fancy foam pillows. If you’re going to pick up one of these desk chairs and you have hardwood floors, these are a must-have. 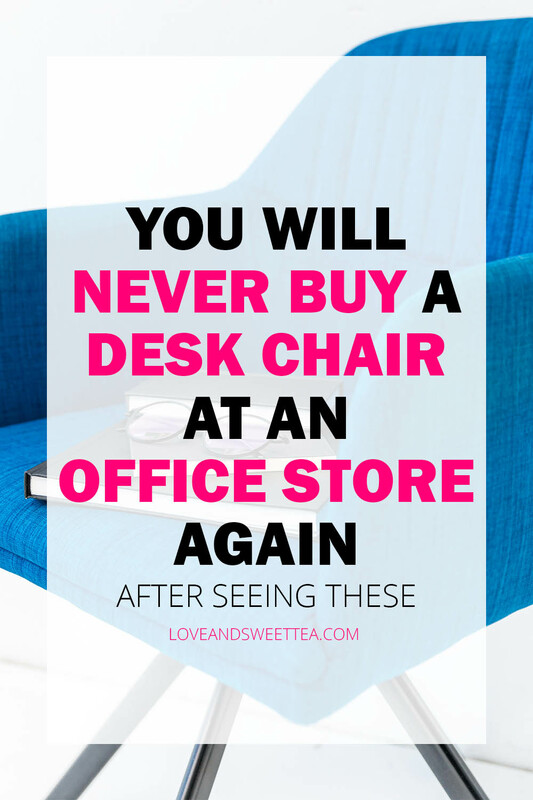 I actually found them one day when I was shopping for a desk chair for myself last year, and let me tell you…What a difference. 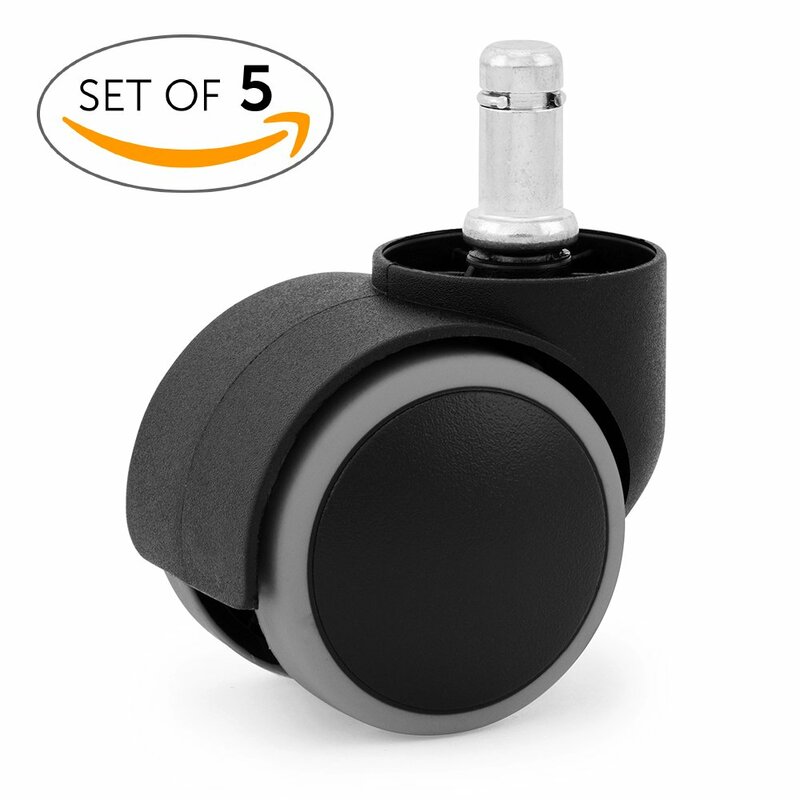 I used to have a plastic mat on my floor to protect it from the plastic chair wheels, but these little puppies are rubbery so they won’t scratch your hardwood floors and you won’t need an ugly plastic mat! I love little hacks that make your life better. definitely worth the extra 10 bucks to upgrade your desk chair. There you have it. This is the updated version of my original desk chair ideas post from last year. Haven’t seen it? 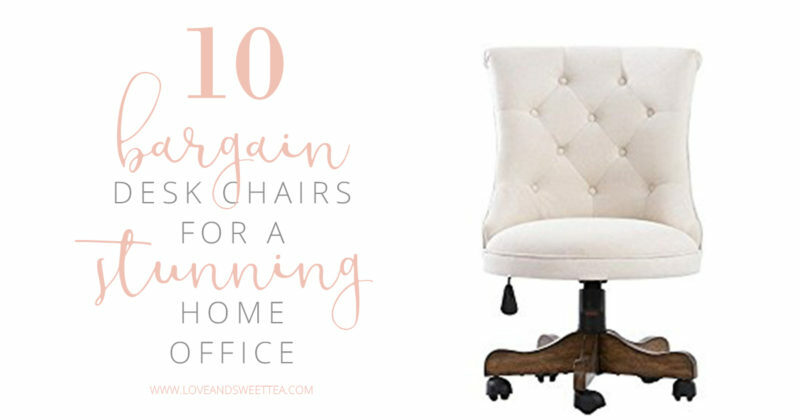 Head on over and check out the other chairs I found that are perfect for a home office or bedroom office. 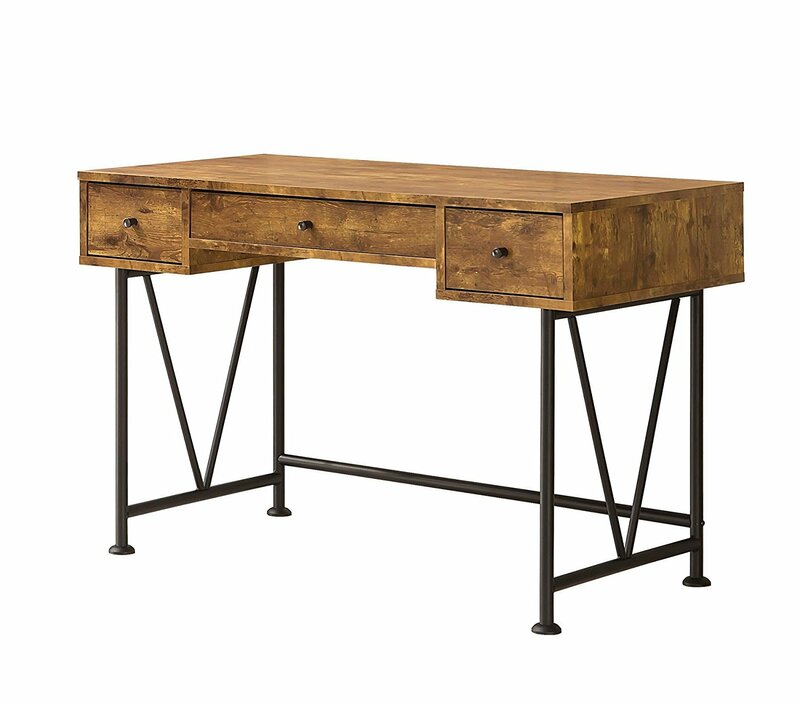 Or, if you’re sprucing up your whole office, you may want to check out this post full of bargain desks for a gorgeous home office. 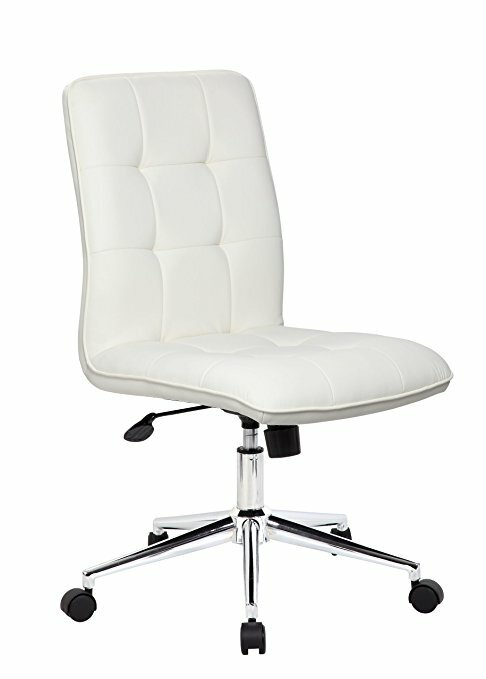 If you’ve seen my post about bargain desk chairs, you know I’m on the hunt for stylish and affordable office furniture. See, my office (that I use many hours a day!) is smack dab in the middle of the living room and dining room. It’s nicely tucked away on a wall and I keep it as tidy and beautiful as possible. 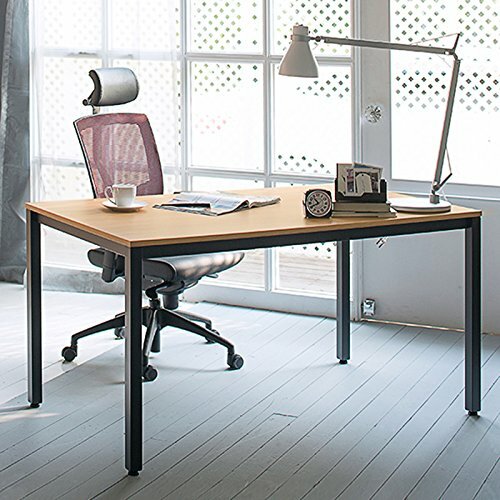 Because let’s be honest, no one wants to be “off work” and staring at their messy desk. We took the plunge about 10 years ago and bought this desk from Ikea. It’s lovely. 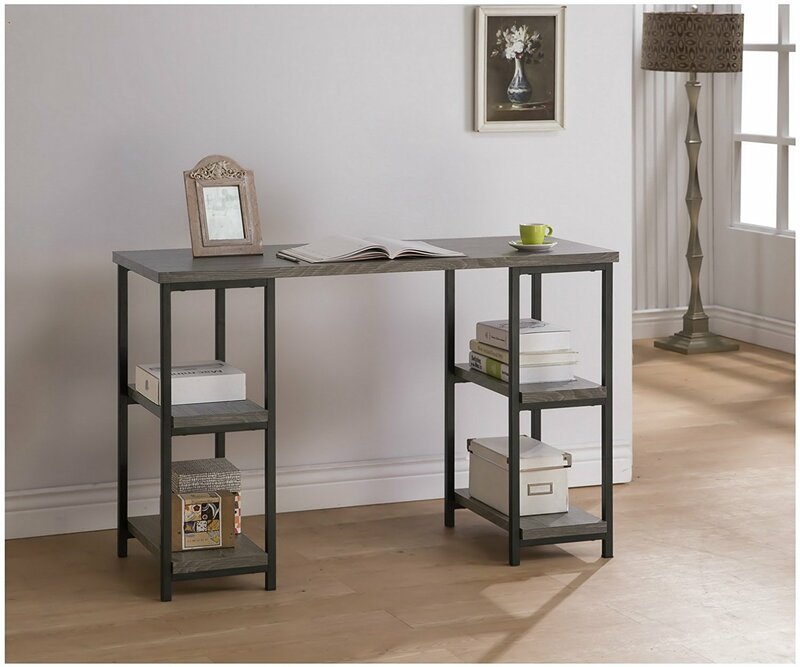 It has the trundle legs with shelves and a sleek, mod glass top. I don’t know if they sell the top anymore, but you could DIY it pretty easily using one of their glass desktops and some basic 1x4s. 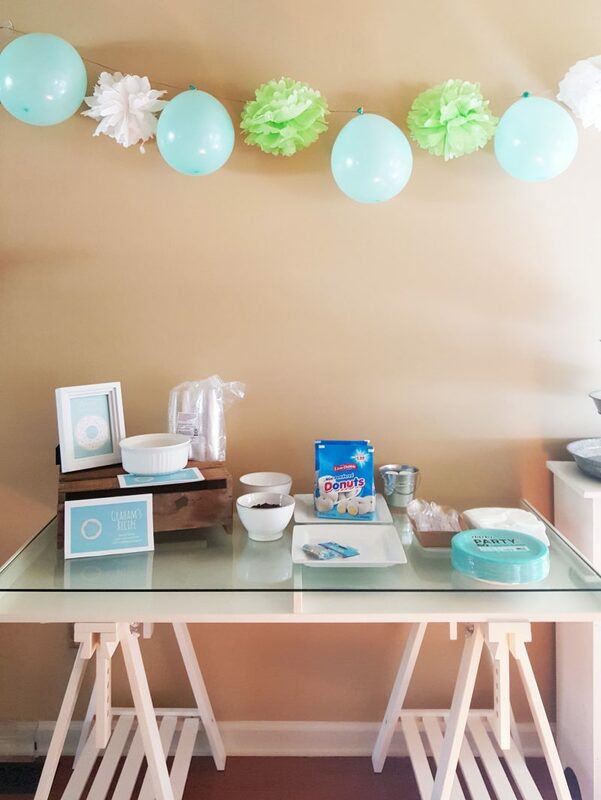 You can see it below as I was setting up for my son’s donut birthday party. Anyway, while I love the way it looks, it doesn’t offer much storage for our front-and-center office location. And a girl needs pens, binders, and aromatherapy oils!! And it would be nice to have a mess that I can just close (like a drawer) and storage for bulky things like printer paper. And, let’s be honest, that area between the glass and white desktop is just asking me to stash stuff there. Meaning, twice the piles and twice the mess (and distraction). Plus, if you’re the kind of girl that dusts every few months (or once a year, ahem), glass can get dirty looking pretty quickly. And consider that doubled because the surface under the glass top aaaaaalsoo gets dirty and dusty (but never cleaned because I can’t reach the middle to clean it). See? I told you I loved it. And, while I didn’t find exactly what I was looking for in my price range (under $200), I did find some major upgrades to the desk I have now, for even cheaper than we paid for the one we have currently. 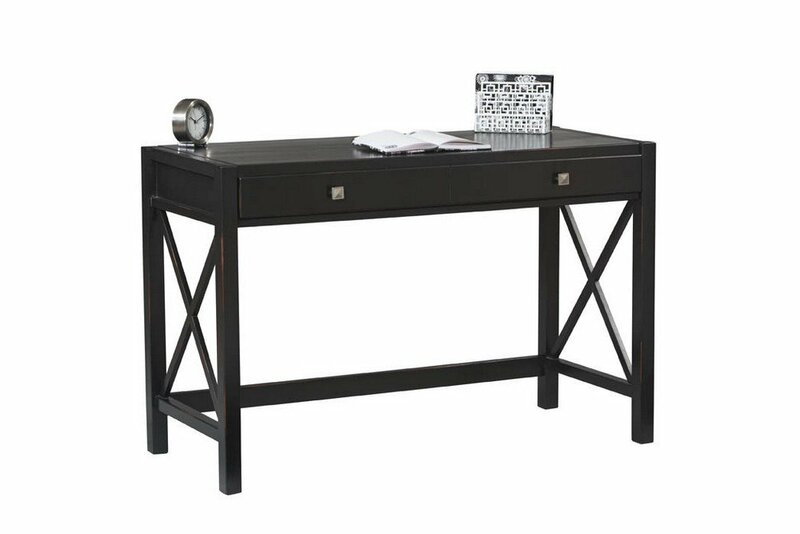 I know, I don’t exactly think a new desk is a neeeeed for me at the moment, but I can definitely say a different desk would be a major improvement in my home office. Here are the choices I’m considering. All the prices are listed as a general guide as of writing this post. So, what would you do? 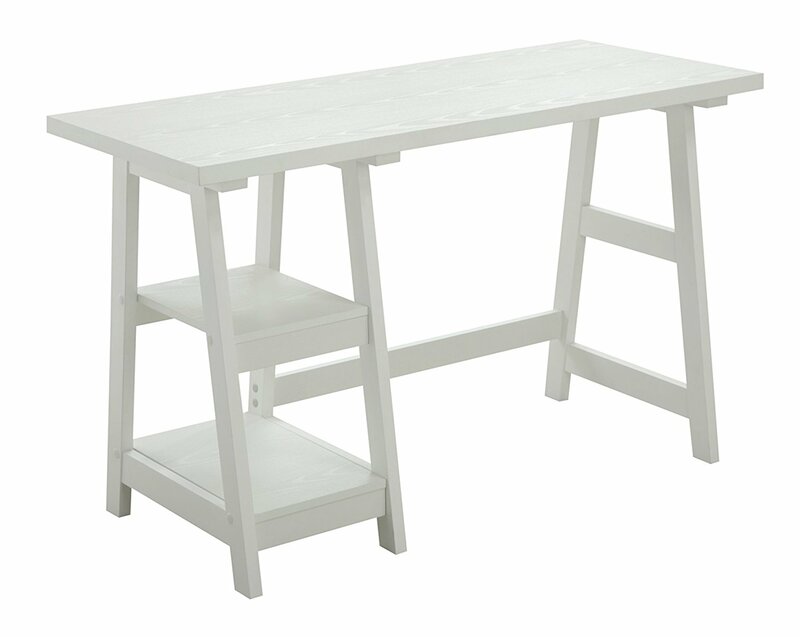 Would you keep the original white trestle desk with the hard-to-keep-clean glass? 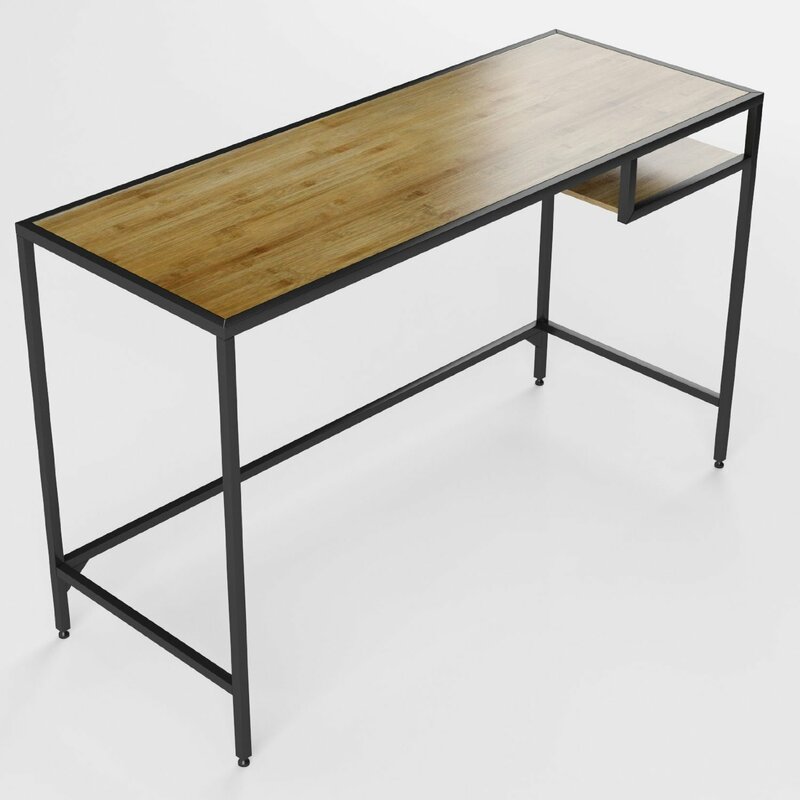 Or would you snag one of these other more trendy desks? 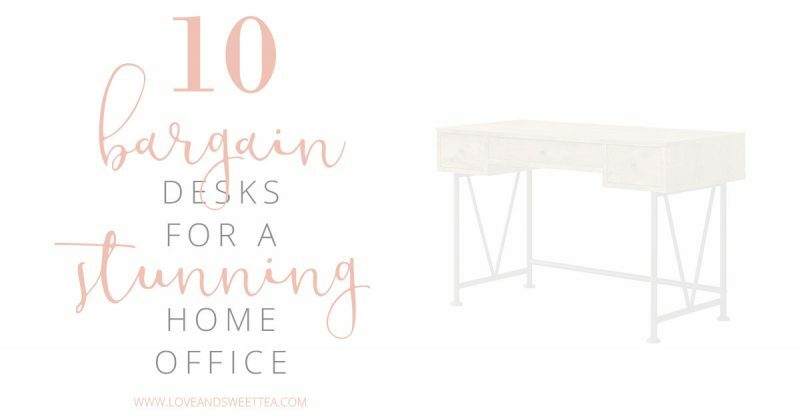 If you’re thinking of sprucing up your whole office, you might want to see this post full of 10 bargain desk chair ideas for a stunning home office. Almost all the chairs are under $250! 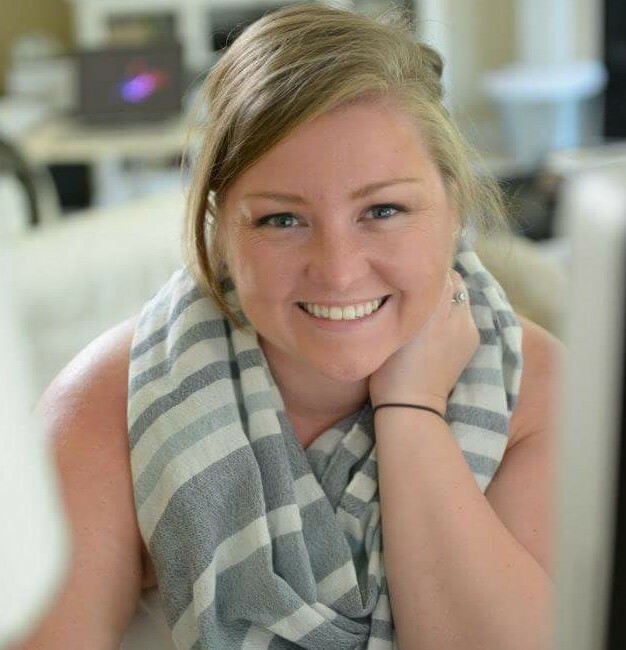 I don’t know about you, but I’ve been thinking about gifts for bloggers to boost my productivity for the new year. One of the areas where I’m really needing some attention is the desk chair ideas department. I don’t want just any ol’ desk chair, though. Since my office is in the living room, I want my desk chair to be beautiful and fit in with the rest of our living space. That means I’m going to be pretty picky when it comes to my next desk chair. Plus, I don’t just want it be beautiful, but I also work from home and sit at my desk all day, so it needs to be comfortable, too! 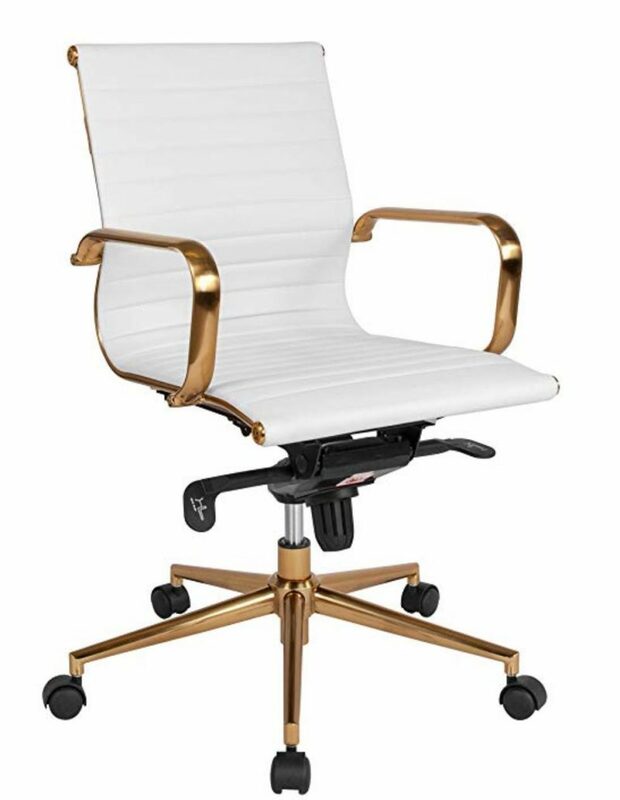 Add those two things together (pretty desk chair + comfortable desk chair), and you bet I’m doing some intense shopping around for my next desk chair! The best part? My budget is as low as possible, so all these desk chairs are under $250! Awesome right? I know! So, here are the choices I’ve found so far. I actually didn’t realize these two were the same until I compiled this list, so obviously, I like it. This one is a little more, um, stately, don’t you think? But I still think it could look great in a work at home mom’s home office. I really love this one, too. It’s probably my second choice. I like the detail, but the brads look a little big to me. But wooden feet? Yes, please! By Serta! I bet this is a dream to sit in, even if feels a tad too modern for my style. This guy has brads, too (even though you can’t see it in the photo). Sleek and sylish. Ergonomic is always good, right? This desk chair is functional but still pretty. This one looks plush and comfy and is on the lower end of the budget list, which is always good! This might be the least expensive with the most classic design. But I’m not sure I can handle wood all day. Or fighting with a pillow for the extra cushion? What do you think? Do you think any of those would fit in my desk space without looking like too much? And would you rule any out because they look too ugly or uncomfortable? Let me know your thoughts in the comments below. Let’s hope that by this time a few months from now I’ll be sitting in a cushy new desk chair with my checked off lists of amazing productivity in hand! Still not enough choices? 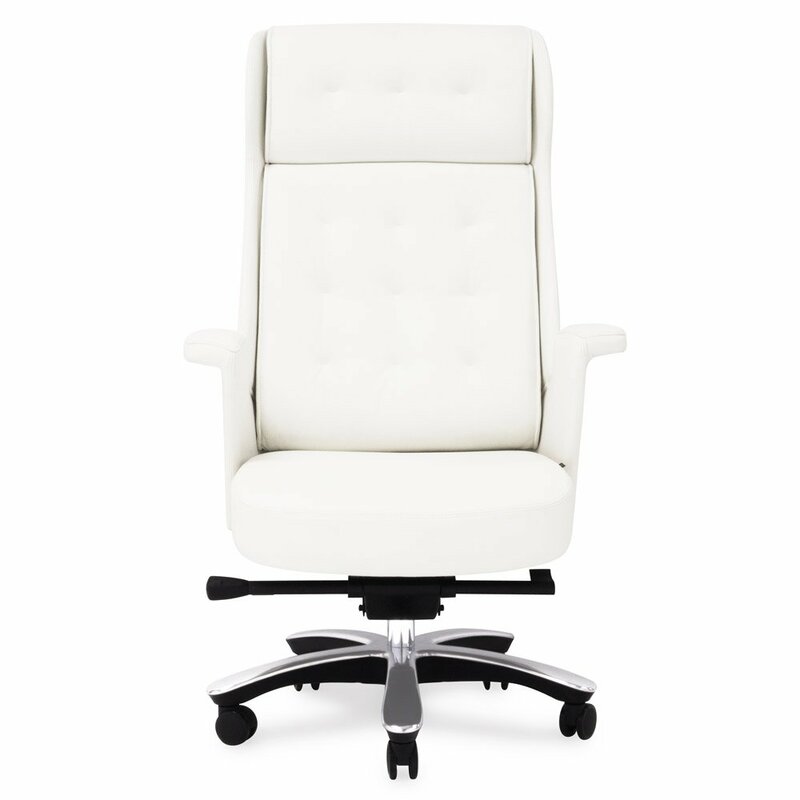 You definitely want to see my new favorite 20 options for cheap comfy desk chairs. 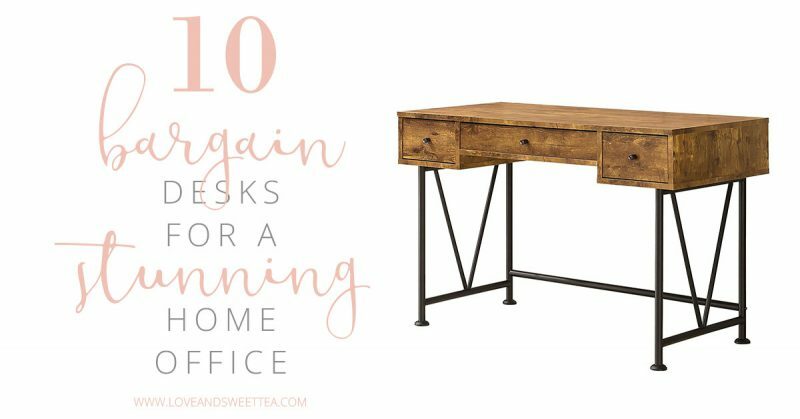 If you’re thinking of sprucing up your whole office, you might want to see this post full of 10 bargain desk ideas for a stunning home office. 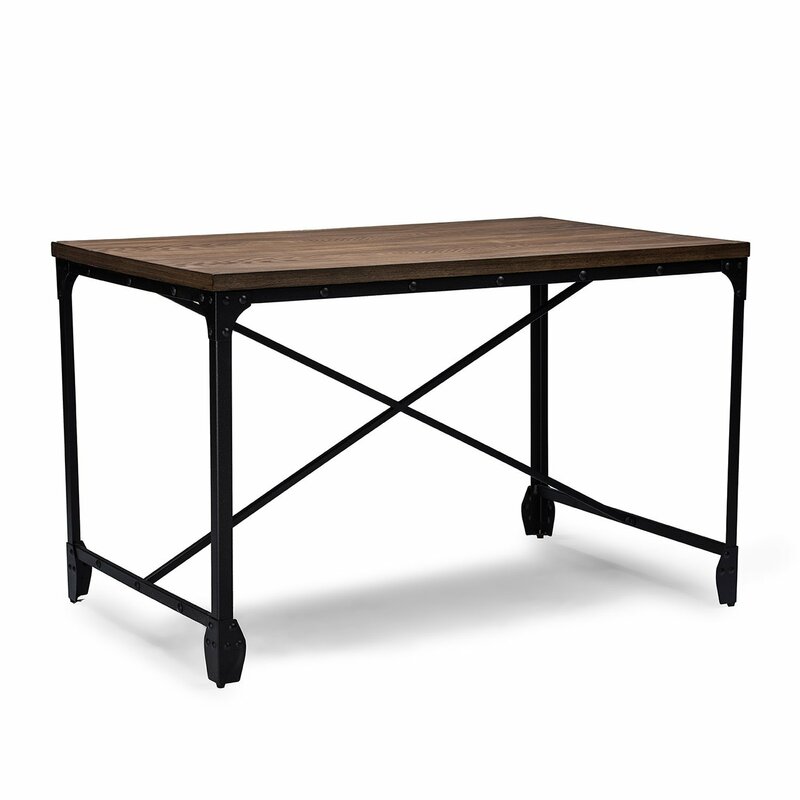 Almost all the desks are easily under $200!